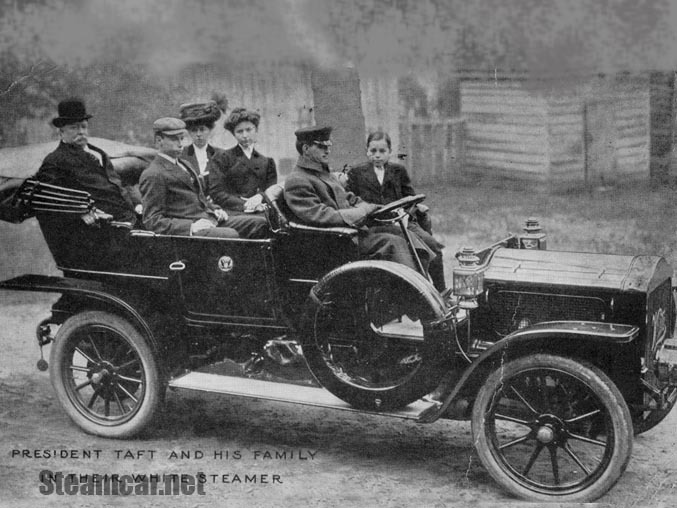 Club member, Jay Leno sits down with the granddaughter of Rollin White the steam car genius behind the White Motor Company. William Howard Taft was born on September 15, 1857, in Cincinnati, Ohio, to judge Alphonso Taft and his wife Louisa. He graduated from Yale, and then returned to Ohio, studied at the Cincinnati Law School, and began his law practice. He made a swift climb in politics through Republican judiciary appointments, while a seat on the Supreme Court was his ultimate ambition. 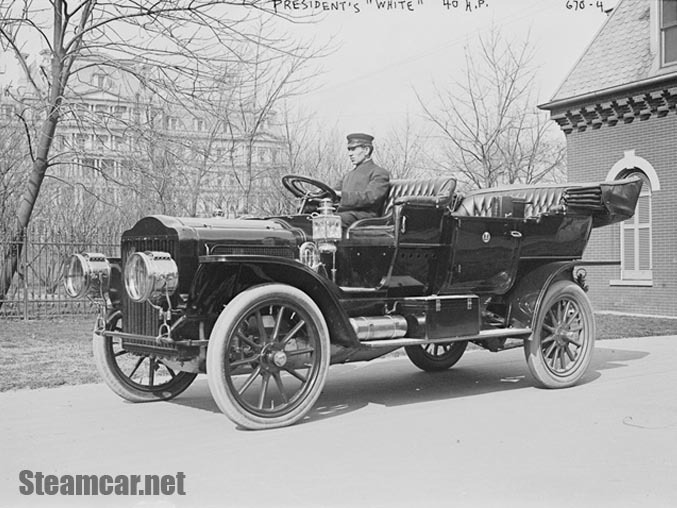 His route to the White House was mapped gradually through ever more prestigious posts beginning in 1900 when President William McKinley appointed him civil governor of the Philippines. During his tenure, he improved the economy, built roads and schools, and gave the Filipino people limited participation in government. In 1907 President Theodore Roosevelt returned him to Washington to serve as secretary of war, and in 1908 he received the Republican presidential nomination. He won the election and was inaugurated in March 1909. The 2012 White House Historical Association Christmas ornament honors William Howard Taft, the twenty-seventh president of the United States. A distinguished jurist and effective administrator, President Taft focused on executing the law rather than setting an ambitious legislative agenda during his term. The 2012 White House Christmas Ornament honors President William Howard Taft who introduced the automobile to White House transportation in 1909, breaking a long presidential tradition of reliance on horse-drawn vehicles. The 2012 White House ornament celebrates President Taft's adoption of the automobile, his love of manufacture and invention, and his ready acceptance of modernity. The ornament depicts President and Mrs. Taft enroute to deliver Christmas presents. 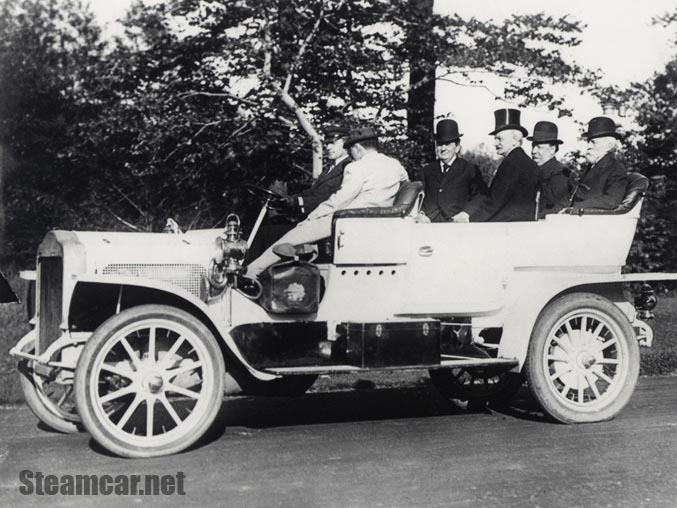 They are seated behind chauffeur George H. Robinson in the White Motor Company's Model M, a seven passenger steam-powered touring car embellished with the Great Seal of the United States on the doors. The color, at the time, is "a harmonious blend of subdued greens.